There’s nothing that makes me happier than when I’m asked to produce portrait photography for a fellow photographer or an artist. 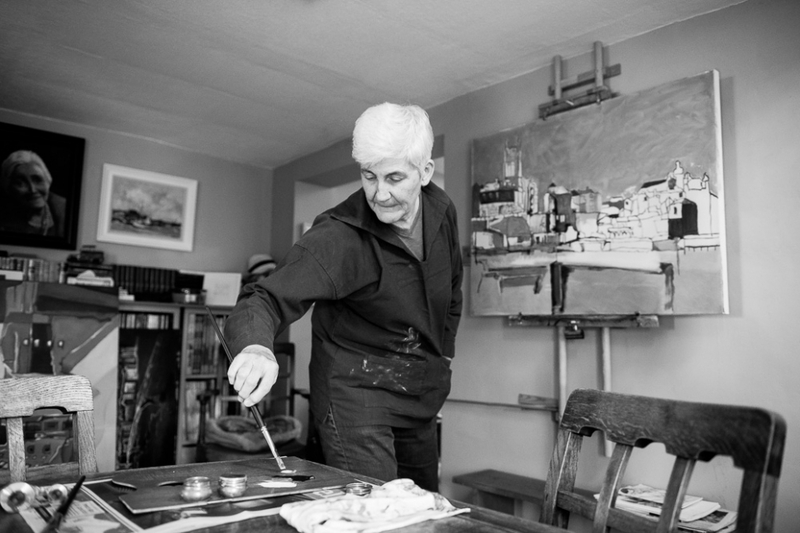 On this occasion artist Deborah Larne needed portrait images for an upcoming exhibition in North Norfolk and asked me if I could produce some images for her that would be displayed alongside her works. 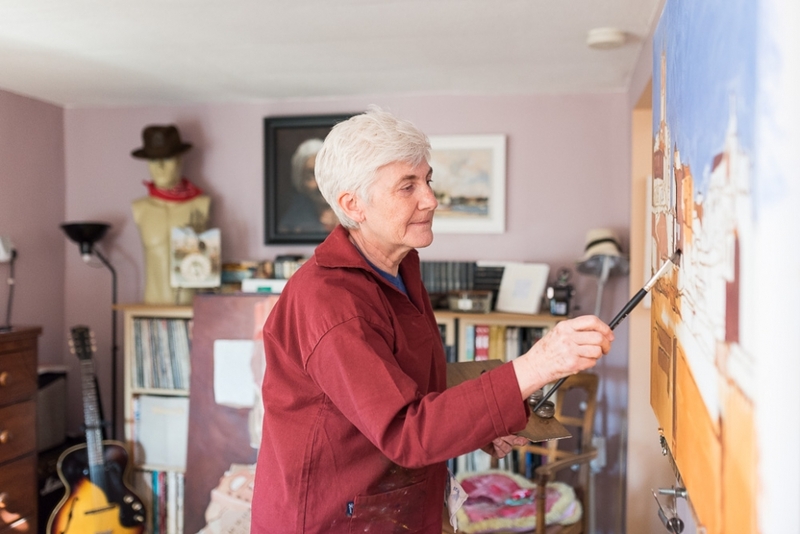 Deborah works both as an art teacher and artist and has done so for many years with a great portfolio of art in various media, have a look at some of her work by following the web link above. The exhibition’s brief was to produce relaxed natural images, with traditional portraits and working images that would be displayed in black and white. To achieve this we utilised Deborah’s working spaces at her home and in her studio, and sought shade from a very bright day of sunshine to produce some relaxed portraits in Deborah’s garden. Of course we not only fulfilled the brief required for the exhibition but I was quite happy to also produce some personal images that Deborah could utilise as she wished, both for promoting her art if she chose but also as a record of her life. Not unlike many of us, Deborah wasn’t very keen on having her portrait taken. For this reason I first worked on producing natural photographs of her actually working on a painting and in her studio waiting for opportune moments instead of posing her. We then moved onto photographs to fulfil the main brief, which asked for the artist to be engaging with the camera, again we worked in the most relaxed manner, working with natural light, shade on the sunny day and relaxed seated poses, both to allow us to use the shade and to relax the sitter. 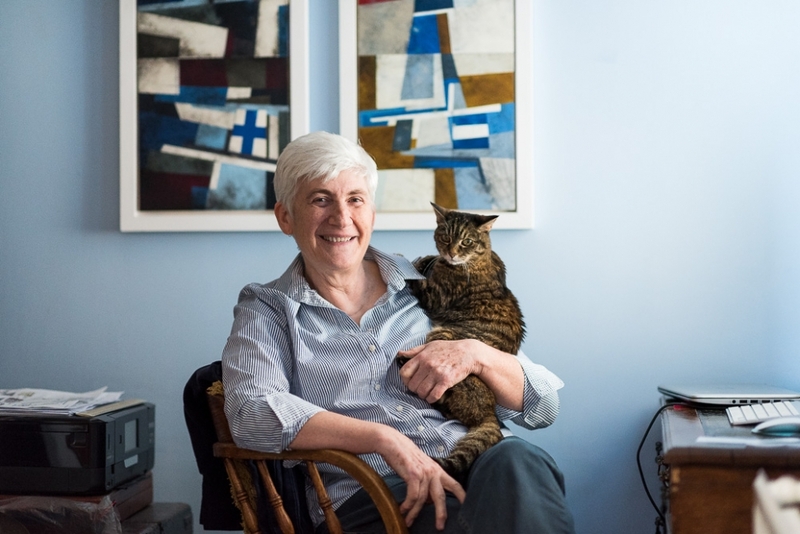 Finally we moved onto natural shots that were for Deborah, photographs in spaces with great light, places where Deborah and her pet cat enjoy sitting relaxing. It was a great shoot, lovely to meet such a talented artist and to produce images both for her work and pleasure. If you need natural portrait photography for your work, exhibitions, or website and social media then please feel free to get in touch.